Small business owners face a number of hurdles that can sink a company before it ever takes off. In recent years, hackers have zeroed in on small businesses, seeing them as an easy mark, creating another pitfall that can spell ruin for small entrepreneurs. According to a Fox Business article from April 2016, cyber criminals are targeting small businesses more than ever, with some businesses being driven to the verge of bankruptcy. These small businesses are seen by hackers as an easier target than massive Fortune 500 type companies, which have poured ever-larger sums into beefing up their cyber security. Without antivirus software, businesses are exposed. Hackers can use malware, phishing, and other methods to steal company data, which is used to clean out bank accounts, steal employee data and personal identity information, and commit tax and health insurance fraud. They can also take over a company’s website, and steal intellectual property. While bigger companies can bounce back from such attacks, for a smaller company, the shock can be fatal. The article also quotes a report carried out by Symantec that stated that 43% of cyber attacks in 2015 were carried out against businesses with less than 250 employees. It also stated that the US Congress’ Committee on Small Business has made the issue a top priority. Symantec has been in the internet security game for nearly three decades, since acquiring Peter Norton computing in 1990. Products released under the Norton brand have become industry standards in virus prevention and removal. With Norton Small Business, they have developed a new line of defense tailor-made for small businesses. Norton antivirus for small business can be applied to all of a business’ devices, to protect against a variety of online threats including viruses, spyware, and malware. The cost of the service depends on the number of devices brought onboard. The software is tailor-made for small businesses that don’t have a complex IT department, with around 20 employees at most. It works behind the scenes 24/7 on its own and updates automatically. It requires no expertise on the part of the user and can easily be set up in a matter of minutes following a one stop download from an email invitation. Norton Small Business works for PCs and Macs, and on mobile devices including smartphones and tablets. The program warns the user prior to downloading something that could be a threat, monitors apps and social media to screen out privacy risks and other threatening behavior, blocks spam from employee inboxes, remembers and secures usernames and passwords, and can locate lost or stolen devices and lock - and wipe – them remotely in order to keep data secure even in the event of theft. The system uses Symantec’s Insight and Solar technologies, which find malicious files and organize them by reputation and behavior. It also includes email protection which scans emails on employee computers so they won’t potentially infect the entire system. One of the most convenient antivirus features for small business owners is the ability to monitor and manage all devices remotely from a central web portal. Norton Small Business also includes a 100% money back guarantee that they will remove all viruses from your devices if the need arises. NSB users sign up for a single subscription that applies to all devices, and have the ability to add or remove devices at their discretion. The pro-rated pricing allows users to add new devices to the subscription, and charges them only for the time remaining. Online, Norton sells the small business protection in packages for 5, 10, or 20 machines. Securing 5 devices for a year costs $99.99, while 10 devices is $149.99 and 20 devices $249.99. For more than 20 devices, Symantec recommends Symantec Endpoint Protection Cloud. Norton Small Business is highly customizable. The user picks which devices to secure, and which users can access them. The breakdown can be updated on a rolling basis based on the business’ needs, and if more devices need to be secure, the subscription can be updated accordingly. NSB is a great fit for small businesses, largely because of its ease of use. Launching the program is achieved in minutes by following a simple online setup. Adding employees to the plan is as easy as sending them a simple email with step-by-step instructions for adding their device to the security plan. As a cloud-based program, there is no central server or hardware, and it can be updated remotely at a moment’s notice. In addition, if ever there are any hiccups, users can count on the company’s 24/7 customer support line for assistance. The main benefits of Norton Small Business are its ease of use, affordable pricing, and round-the-clock customer service helpline that will tackle problems in real time while you are on the line with a representative. It supplies small businesses with the same security technology used by Fortune 500 companies, but doesn’t require an IT department, complicated know-how, on-site servers, or any employee man hours for the business. The system is easy to set up, updates on its own, and can be easily adapted to service more devices at any point. The ease of use allows entrepreneurs to focus on what matters most – growing their businesses. As opposed to other Norton security packages, NSB allows for including up to 24 devices, far more than any other Norton package. It is also the only Norton product that allows for mobile monitoring of all devices from a convenient web portal. Norton Small Business sets itself apart from the pack also with its ease of use and customer service, as well as its money-back guarantee. As the world’s largest software security company, Symantec is a very well-known commodity with consumers. On Amazon.com, Norton Small Business has a 4.0 rating, with 76% of the 45 ratings at 4 or 5. They were most impressed though by the program’s ease of use, user interface, and multi-platform support. 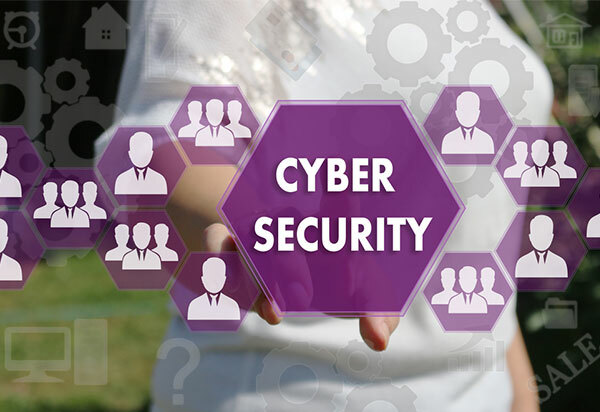 With cyber security threats growing by the day – and with small businesses an appealing target of hackers – the greatest benefit of a powerful, effective, and guaranteed anti-virus security system like Norton Small Business is peace of mind. Our editorial staff is comprised of writers who are passionate about the world of online consumer services. We specialize in simplifying the process of choosing the right antivirus software for your needs.